I always want to look like I put in the extra effort, even when time is tight. 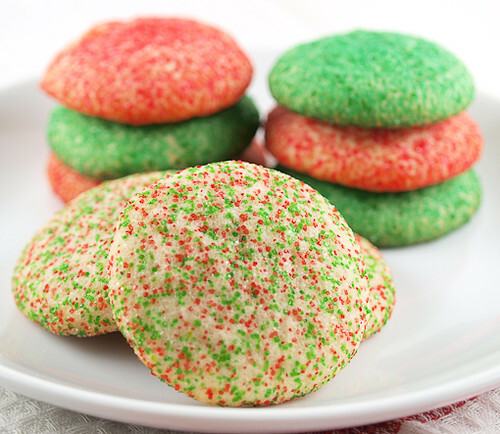 Festive decorated cookies are all well and good, but sometimes there is absolutely no time to get fancy. 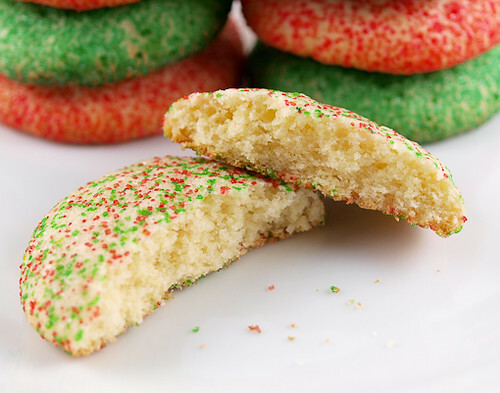 That makes this recipe an absolute treasure because you get bright, festive cookies that taste light, buttery, and delicious. Of course, these are not just for the holidays. Rolled in red and blue sugar these are great for the 4th of July. 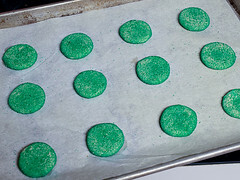 If you fancy cookies for St. Patrick’s Day Roll them in green and white sugar. Having a watching party for a favorite sports team? I think you get the idea. 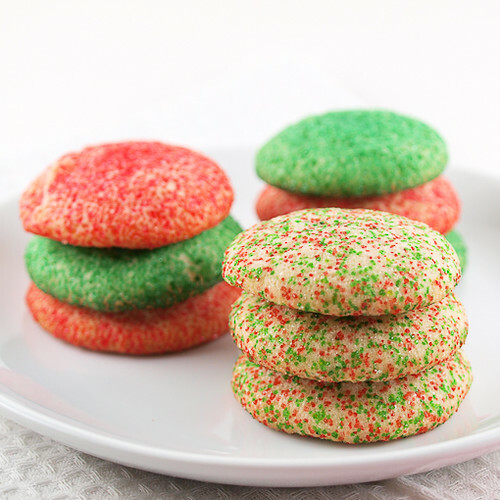 What I love best about these cookies, aside from their easy preparation, is their texture. They puff quite a bit while baking, and do not deflate much as they cool, making them light as air. I find them quite addicting with a cup of strong, spiced tea or a mug of bourbon spiked cocoa. You can play with the flavors in this cookie. A tablespoon or lemon, lime, or orange zest would give these beauties a lovely citrus aroma. However you make them I promise you will not be disappointed. 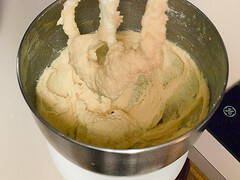 In a medium bowl cream together the butter and sugar until well combined and just lightened in color. Add the vanilla and almond extracts along with the eggs and beat until well combined. In a separate bowl whisk together the flour, baking powder, and salt. 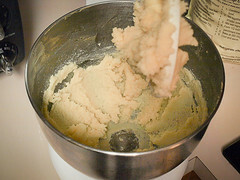 Add the flour mixture to the butter and mix, on low speed, until the mixture is smooth and no dry flour remains. Scoop the dough by rounded tablespoons and roll into 1-inch balls. Roll the balls in sugar, making sure to cover all sides, then place on the prepared sheet pans. 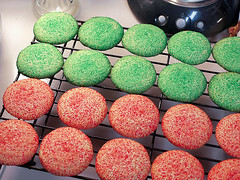 Flatten the cookies with a glass, or smooth bottom measuring cup. 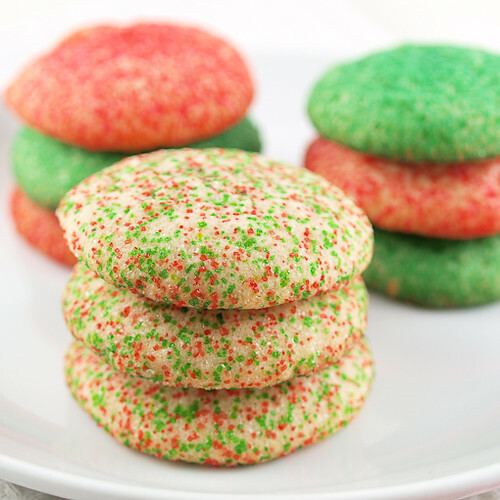 Bake for 8 – 10 minutes, or until the cookies are just golden brown at the edges and puffed. Cool for three minutes on the pan then transfer to a wire rack to cool completely.